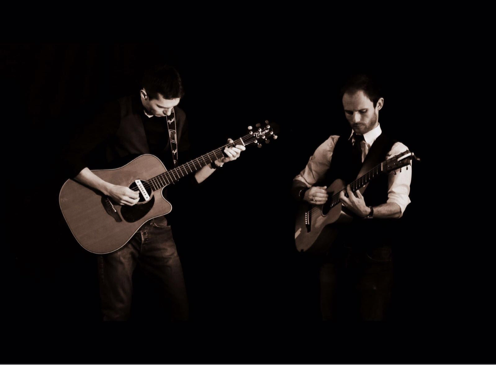 Unplugged are an acoustic pop/rock duo that perform a wide range of popular covers from The Beatles to Ed Sheeran. Their acoustic sound is perfect for a wedding's pre reception drinks through to early evening as a precursor to a disco/DJ. Unplugged are currently resident at Opera Bar in The Gate, Newcastle and The Living Room, Grey Street, Newcastle. They also play at several other bars and restaurants in and around the region. See the gigs list for up to date listings. They regularly play for corporate functions, weddings and social events. All PA equipment is provided and their sets can be personally tailored to the needs of the client. All equipment is PAT tested and they have public liability cover up to £10,000,000. If you are interested in booking or contacting Unplugged then please fill in the form on the contact page for more information or a quote.